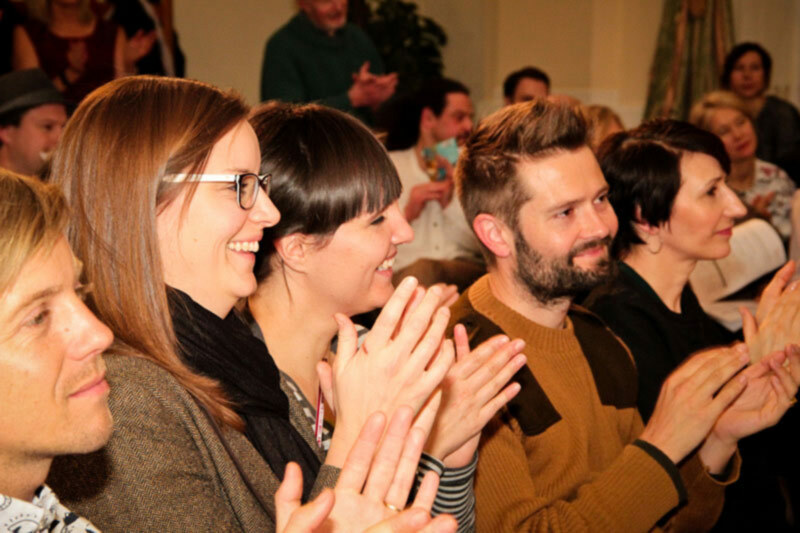 ‹ View all resources £20 How to write a TED-style talk, step-by-step. 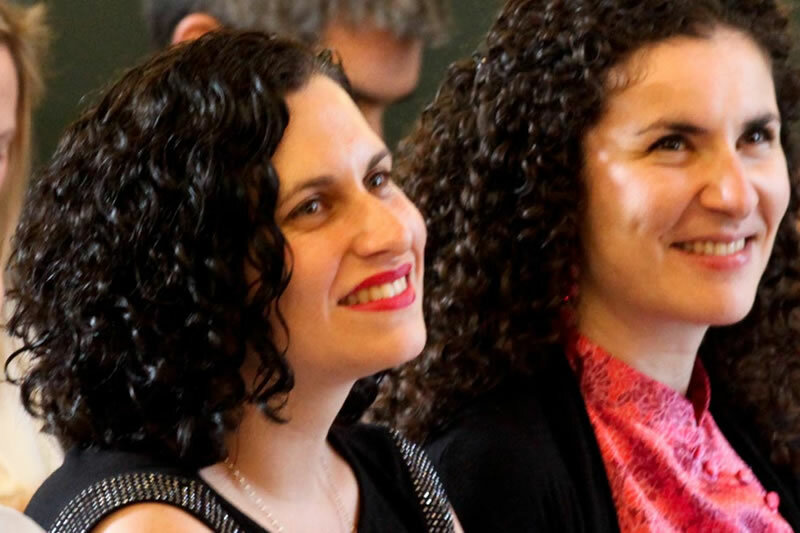 The public speaking author and award-winning speaker coach, Ginger’s Founder Sarah Lloyd-Hughes has put her experience from thousands of hours of TED speaker training together into this one incredible TED Talk Guidebook. If you’re speaking a lot, you need to make sure your presentations are engaging the audience. Otherwise, what’s the point? We have far too much information thrown at us every day to remember anything but the sharpest and most relevant information. Speakers need to become experts at creating compelling public speaking to cut through the noise. If your industry is generally pretty dull, then you have a serious opportunity to stand up and be remembered. Let’s just make sure you’re memorable for the right reasons! Learning how to write a TED talk or TED-style talk will help you to highlight your key messages with energy and charm. It’s amazing how much more confident you feel as a speaker when you know you’ve got a great talk structure behind you. Our TED-style Talk guidebook gives you proven methods to help you find and write that world-class TED talk that’s sitting inside you. There’s nothing more impressive than a talk that gets straight to the point, especially when that point is compelling and useful. 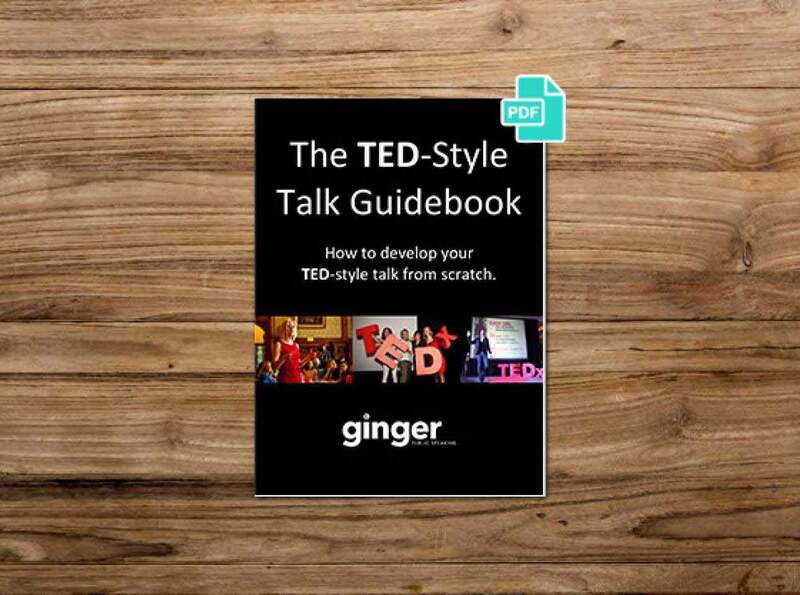 Ginger’s TED-style Talk guidebook will show you how to write a TED-style talk. You’ll learn how to cut to the chase and create a simple, elegant talk that impresses even the most critical of audiences. 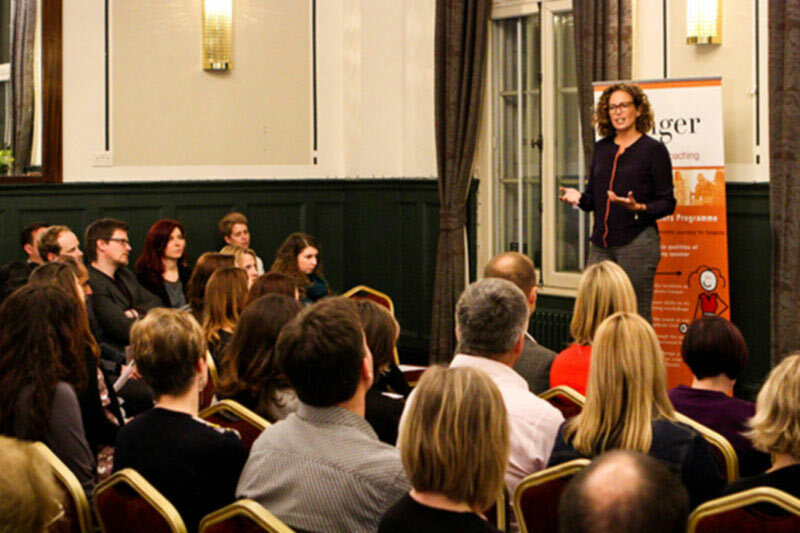 As your speaking improves you’ll become more visible within your workplace or industry. Here’s when the great opportunities start popping up, like international conference invitations, interviews, books. With TED-style speaking, the sky’s the limit. It’s not just conference speeches – TED-style speaking helps you to construct powerful messages in sales pitches, company meetings, workshops, elevator pitches, you name it. Anyone who has to communicate a message can benefit from the TED-style talks approach.